By 1956 the Northern Ireland team was entering a golden few years that would culminate in reaching the 1958 World Cup quarter-final. However, the number of players that they had available from the upper echelons of English football had been severely diminished as players born in the Republic of Ireland were no longer considered for selection. There were actually three southern-born players that had been capped by the Irish FA still featuring in the First Division - Tom Aherne, Tommy Eglington and Peter Farrell - though they are excluded from the stats below. 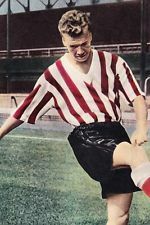 Bingham had been a fixture on the right wing for Sunderland, the so called "Bank of England Club", since his move from Glentoran in 1950. The club's results had seldom lived up to the spending throughout the decade and 1956/57 was no different as the club sat in the relegation zone for most of the campaign. Bingham was dropped early season and asked for a transfer and was then involved in an illegal bonus payment scandal that rocked the club. Although survival was narrowly achieved, the drop would follow a year later, Bingham's last at Roker Park. Although it had taken a substantial fee to take Blanchflower to Spurs in 1954 the jury was still out. He had been stripped of the club captaincy the previous season for shuffling the team mid-way through a FA Cup semi-final and briefly dropped, then rebuked by the board for going to the press! 1956/57 saw him re-build bridges at the Lane as Spurs finished runners-up. He was Footballer of the Year the following season, re-appointed as club captain in 1959 and of course skippered the club to multiple successes, including the Double in 1961. 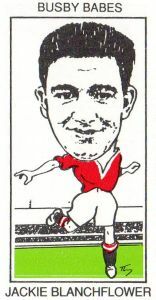 After making his United debut as an 18 year-old back in 1951, the younger Blanchflower had enjoyed some extended runs in the team, usually in the forward line. A versatile player, he featured eighteen times in various roles as the League title came to Old Trafford in 1956. In 1956/57 his preferred position was centre-half, even though he had actually featured in goals during a pre-season match, but he still could not establish himself in the first eleven and played just 11 matches as the title was retained. He did start at centre-half in the FA Cup final defeat by Aston Villa, taking over in goals after Ray Wood was injured in a clash with Peter McParland. His career was brought to a premature end the following season due to injuries sustained in the Munich Air Disaster. Another versatile and enthusiastic performer, at home as a tough tackling half-back or a creative forward, Casey struggled to hold down a starting place throughout his time with Newcastle, though still racked-up a healthy number of appearances. He had claimed an FA Cup winner's medal in 1955, but the club was largely a mid-table side throughout the 1950s. He enjoyed one more season at St James' Park before joining Portsmouth. Keith had come to the notice of Football League teams through his performances for Linfield and the Irish League representative team, notably in a 5-2 victory over their English counterparts in April 1956. He was reigning Ulster Footballer of the Year when Newcastle won the race for his signature early in the 56/57 season. He established himself immediately in the first eleven and retained his place for much of the next seven seasons. It would be the following campaign before he made his Northern Ireland debut, and his place in the international team was cemented when Jackie Blanchflower was ruled out by his Munich injuries. 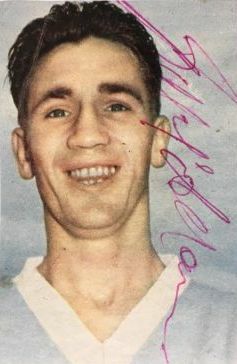 A courageous goalscorer, McAdams made his name with Distillery before joining Man City as a 19 year-old in 1953 and he immediately established himself for both club and country. A slipped disc sustained in 1955 effectively ruled him out for two seasons and he missed City's FA Cup final appearances in 1955 and 1956. He made just a handful of appearances through the 56/57 season and a few more the following season before he was again ruled out and missed the trip to Sweden for the World Cup. It would be the early-60s before he was able to enjoy a sustained run in the Northern Ireland side. Another product of Irish League football, Jimmy McIlroy had established himself as one of the finest "schemers" of his day as Burnley enjoyed a golden era through the 1950s that would culminate in their 1960 title win. From his Clarets debut in 1950 through to his mysterious departure to Stoke in 1963 he was the first name on the teamsheet. More a creator than a scorer of goals, the 13 he claimed in 56/57 was only the third time to that date that he'd reached double figures. Similarly for Northern Ireland he was a key figure in the great team of that era, but goals were comparatively rare, though often very important. At the start of the 56/57 season it had been nearly 11 years since McKenna's first international recognition in the post-War Victory Internationals and five years since he was last capped. Capable of playing on either wing and previously a First Division regular with Huddersfield, at Blackpool he was playing second fiddle to England internationals Bill Perry and a certain Stanley Matthews. 56/57 was the last of his three seasons at Bloomfield and he left for Division Three North side Southport in the summer. 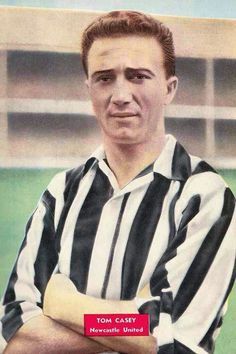 Through the 1950s McMichael was the usual name on the Newcastle teamsheet at left-back. There had been something of a wobble in 1955 when he found himself out of the first team and submitted a transfer request. It was a difficult time for him as he had lost the Northern Ireland captaincy and feared losing his place in the team too. The request was denied, and although he missed that season's FA Cup final, he was back in the team the following season and rebuilding his reputation as among the finest defenders of his day. He remained a fixture for club and country into the 1960s and for many years held the record as Newcastle's most capped player. 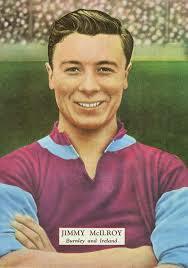 A powerful goalscoring winger, McParland was established in the Villa firstteam while still a teenager. Although their league form in this era was generally mediocre, Villa did reach the 1957 FA Cup final. The Wembley tie, in which he scored twice, is best remembered for his clash with Manchester United's Ray Wood which left the keeper unconscious. It would be in Sweden in 1958 that McParland finally transferred his club goalscoring form to the international scene. 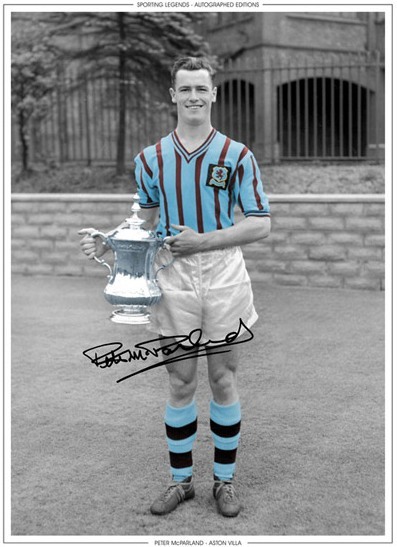 He remained at Villa until 1962, suffering relegation, enjoying promotion and scoring the winning goal in the first ever League Cup final in 1961. Goalkeeper Uprichard had enjoyed a stuttering start to his time in English football. He had served two fruitless seasons with Arsenal before dropping down the leagues to play for Swindon. When given another chance in the top-flight by Portsmouth in 1952 he was ruled out for a spell by an injury collected in just his second appearance. By the mid-50s he had established himself in a competitive Portsmouth side but by 56/57 things were starting to go awry. Pompey were struggling and Uprichard was among the victims as the team was shuffled in an attempt to find a winning formula and relegation was narrowly avoided. His Northern Ireland place had also been taken by Harry Gregg, though he would step in on a few notable occasions in the following few years. 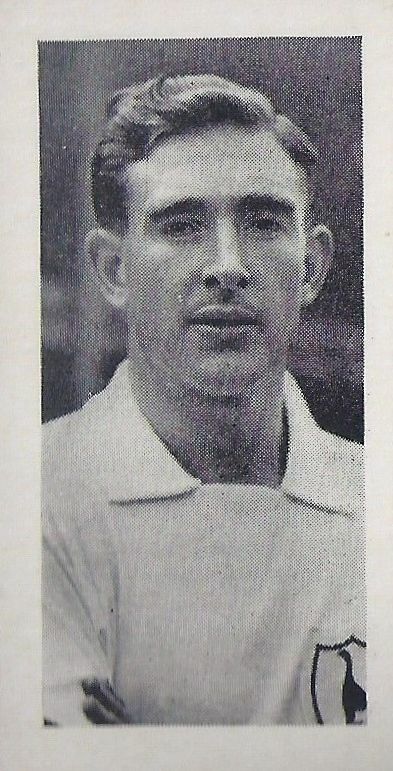 Portsmouth were relegated in 1959 at which point Uprichard moved on to Southend.